Large cities like Pittsburgh are famous for small streets and alleyways, bad traffic, and poor road conditions. These circumstances make it hard for commercial truck drivers to maneuver, and difficult for owners to maintain their fleet. Isuzu has found a solution for these problems, and the answer is the 2018 Isuzu FTR, a Class 6 medium-duty truck. This vehicle is able to work its way through hectic city conditions while still being able to carry as much cargo as you need it to. The FTR will contain a 4HK1-TC 5.2-liter turbocharged four-cylinder diesel engine, just like many other Isuzu models. Isuzu equipped the FTR with a four-cylinder engine for better fuel economy and decreased emissions. An Allison 200 Series automatic transmission is paired with the engine and has a durability of 310,000 miles. 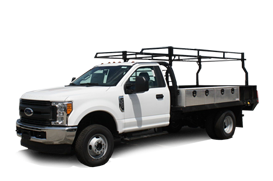 Pittsburgh, PA area business owners can customize the FTR to fit their needs with the option of eight wheelbase configurations. The back of the cab is cleanly designed for added space for body applications. If city driving is your major concern, you’ll be happy that the FTR has a low-cab-forward design for increased visibility and a tighter turning radius for more accurate turning. 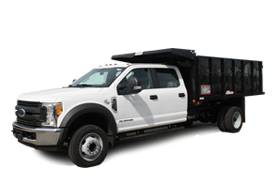 For information on our current offering of LCF Isuzu trucks, check out our 2016 Isuzu N-Series page. Even the inside of the FTR’s cabin offers a better experience for drivers. The suspension driver’s seat with armrest keeps you comfortable and alert while the side under safety mirror extends out to provide a better view of your blind spots. Allegheny Ford Isuzu Truck Sales is very excited about this announcement, but we cannot offer the FTR to Pittsburgh, PA area drivers just yet. 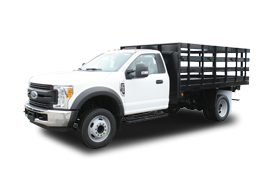 For now, take a look at our incredible new commercial truck inventory to begin the search for the next addition to your commercial truck fleet. Get in touch with a product specialist by phone at (855) 996-0725 or through our online contact form for more information.